Asphalt shingles cover more homes in America than any other roofing material. This roofing material is easy to install, provides excellent protection and it is often the least expensive roofing choice. Winfield Builders offers a wide variety of asphalt shingle styles and colors that are an affordable option for your Montgomery County roofing system. Aesthetically pleasing. 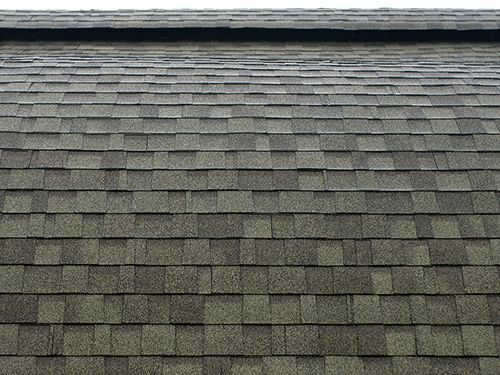 Asphalt shingles come in a wide selection of colors and textures. Our expert Montgomery County roofing contractors can help create a design that will match the architecture and décor of your home. Certain asphalt shingles can mimic the look of wood, tile or slate, giving your home an elegant finish at a lower cost. Get all the features you want in a roofing material at a price you can afford. Contact Winfield Builders for a free shingle estimate today by calling (301) 370-7925 or completing our online quote request form. Metal roofing is an increasingly popular choice among architects and homeowners alike, and Winfield Builders is the Montgomery County metal roofing contractor with the deepest experience in metal roofing systems. Known for their exceptional durability, metal roofs come in a wide range of colors and configurations. Innovations in paint and coating technology have significantly enhanced the performance of metal roofs and eliminated worries about rust and corrosion. Today, these roofs resist fading, chalking and cracking under even the toughest conditions. Here’s more about the advantages of this roofing material. Winfield Builders installs metal roofing Montgomery County residents can rely on for lasting value. Contact us for a free metal roofing estimate today by calling (301) 370-7925 or completing our online quote request form.